Modern medicine sometimes really is a miracle, with many illnesses and conditions that in the past spelled sure death now treatable and curable. Not only is medicine effective, but in recent years it's becoming more convenient, futuristic and innovative. So why is it that many people still need to inject themselves every day to stay alive? This is a problem Israeli biopharmaceutical company Kadimastem is trying to resolve. It hopes to revolutionize diabetes treatment and make needles a thing of the past for insulin-dependent patients by creating an in-body device that creates insulin on its own. Diabetes is a metabolic disorder in which there are excess levels of sugar in the blood. There are two main types – type 1 diabetes occurs when the pancreas can't create enough insulin, the hormone in charge of lowering sugar levels in the blood, while type 2 diabetes occurs when cells become resistant to insulin. Since their bodies can't produce the necessary insulin, all people with type 1 diabetes need to receive insulin from an external source. They are joined by some 30 percent of type 2 diabetes patients who also become insulin-dependent. Overall, the global insulin-dependent population stands at over 100 million people. 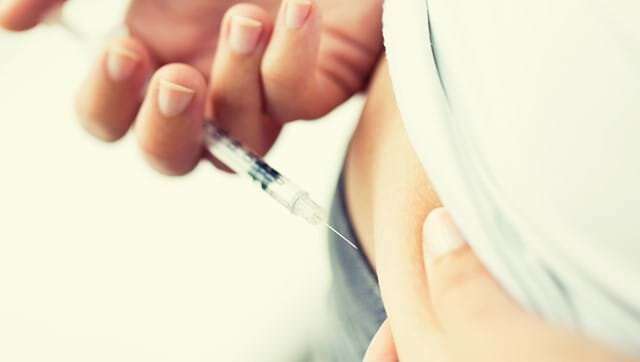 Traditional medicine deals with this large-scale problem by providing insulin injections. This usually involves patients measuring their blood-sugar level and injecting themselves several times a day – definitely lifesaving, but also a hassle. A more advanced form of therapy, demonstrated back in 1999, found that implanting healthy islet cells in people with diabetes freed them from insulin injections and glucose monitoring. This method was revolutionary, but it relied on organ donations and required the suppression of patients' immune systems so they wouldn't reject the new cells. Therefore it's not an ideal solution. This is where Kadimastem would like to step in. Instead of having people waiting around for organ donations, it plans on independently creating the necessary cells from human embryonic stem cells. "These cells can turn into any tissue that you like. What's good about these cells is that you can endlessly multiply them," says Kfir Molakandov, Kadimastem's diabetes project manager. "We have this raw material and we know today how to take these pluripotent cells and turn them into insulin-producing cells." He also has a simple yet innovative way to prevent possible rejection of healthy cells by the immune system: an encapsulation device now under development by Kadimastem with two corporate partners. "It isolates the [implanted] cells from the patient's immune system but at the same time allows them to function effectively for a period of time," Molakandov tells ISRAEL21c. "The insertion of the device will be a minor medical procedure. The patient won't feel the device and generally won't have to do anything else with it," he notes. "It might be that they'll have to replace these devices once a year or once in two years." That's a far cry from current daily injections. According to Molakandov, there are no such devices in the market today, although several companies are researching and developing similar treatments. Kadimastem's insulin-making system is now in pre-trial stage, and clinical trials are still some years off. The system does work in animals, however, says Molakandov. The product's release will depend on meeting regulatory demands, but Molakandov estimates it will reach the market within the next decade. Another of the company's products, a similar stem-cell treatment for ALS disease, is already in clinical trials. "Since nothing like this exists you need to find creative solutions to a lot of problems that happen along the way," he says of the development phase. "One of the things you need to think about is the area that you have to transplant the cells." However, the company has already successfully dealt with two major challenges – the creation of good cells and the elimination of impure ones. "We have a patent together with the Weizmann Institute of Science that allows us to select the relevant cells for the patient, or in our case, the device." The next big challenge is finding these cells a home in the form of the device, together with gearing toward large-scale production. Although some people object to using human embryonic stem cells on religious grounds, Kadimastem takes its cells from surplus embryos destined to be destroyed (for example those created for IVF treatments) and not from embryos created for research or profit purposes. However, in case of objection in future consumer markets, non-embryonic pluripotent cells could also be used in a similar manner. As for what's in store for Kadimastem in the future, Molakandov says the possibilities for stem-cell treatments are endless. "It could be liver disease, lung disease, hormonal diseases – any disease that's degenerative."